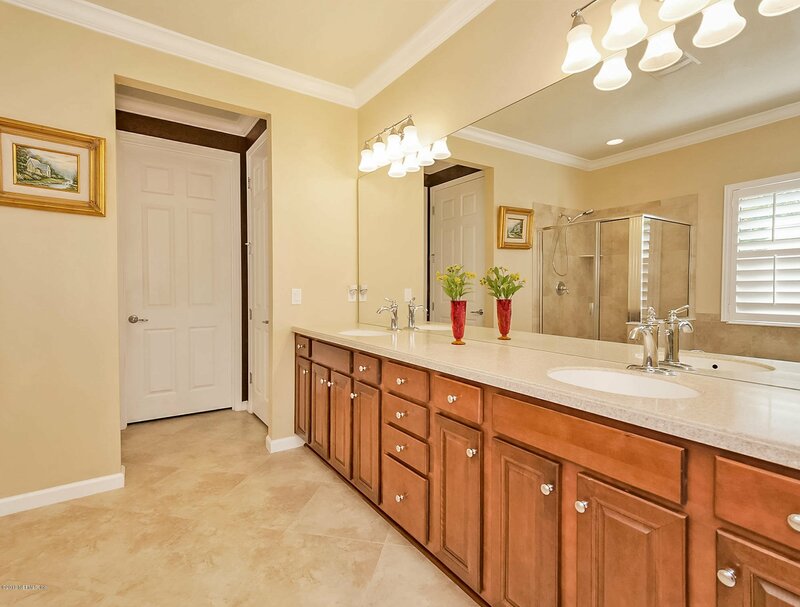 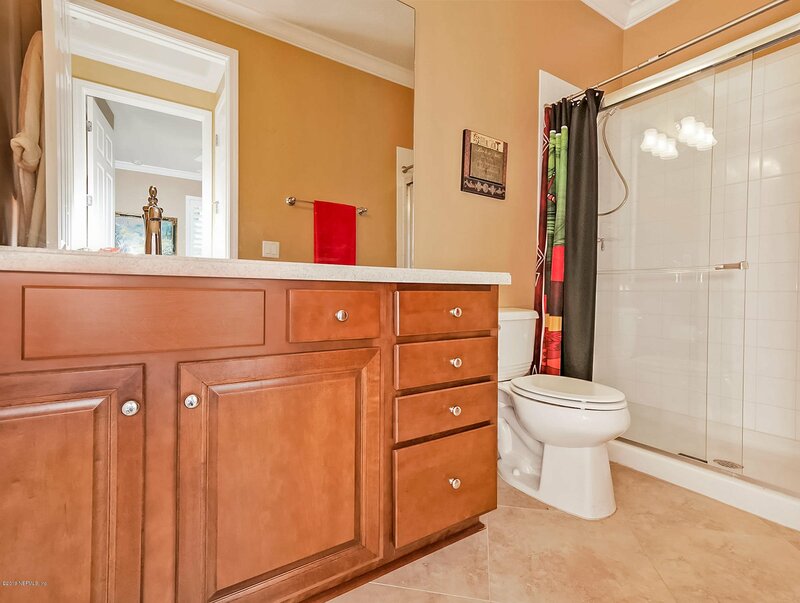 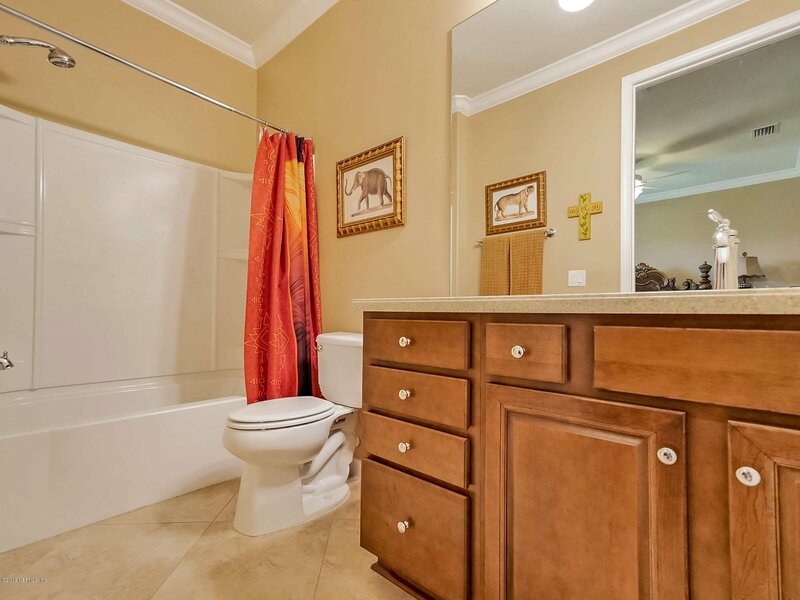 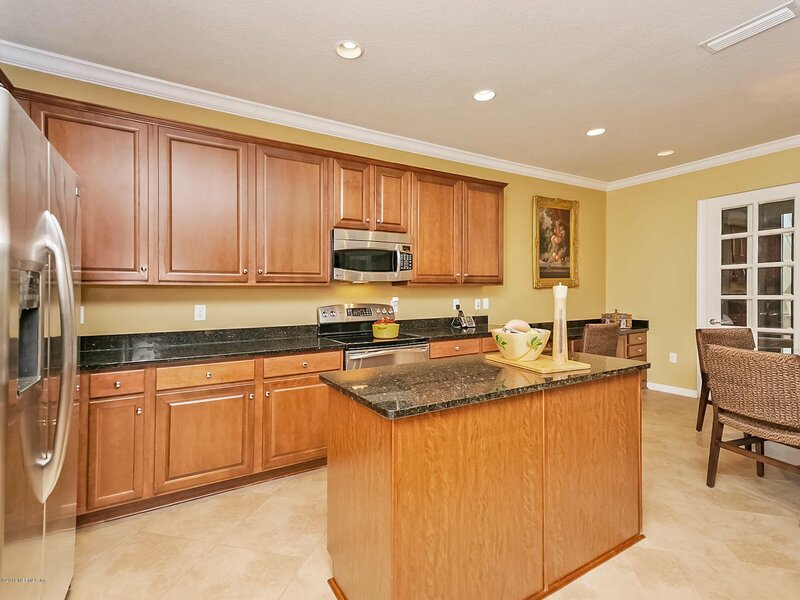 You will fall in love with this immaculately kept, one-owner home from the minute you walk in. 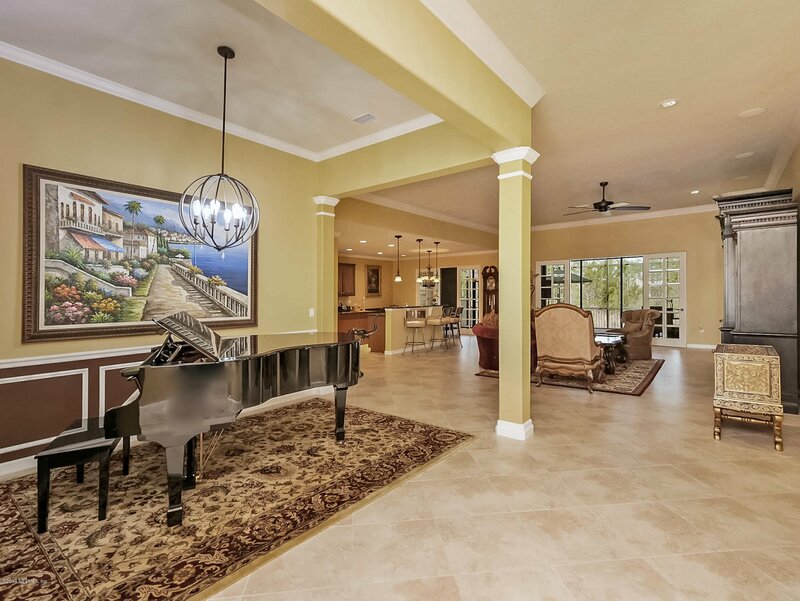 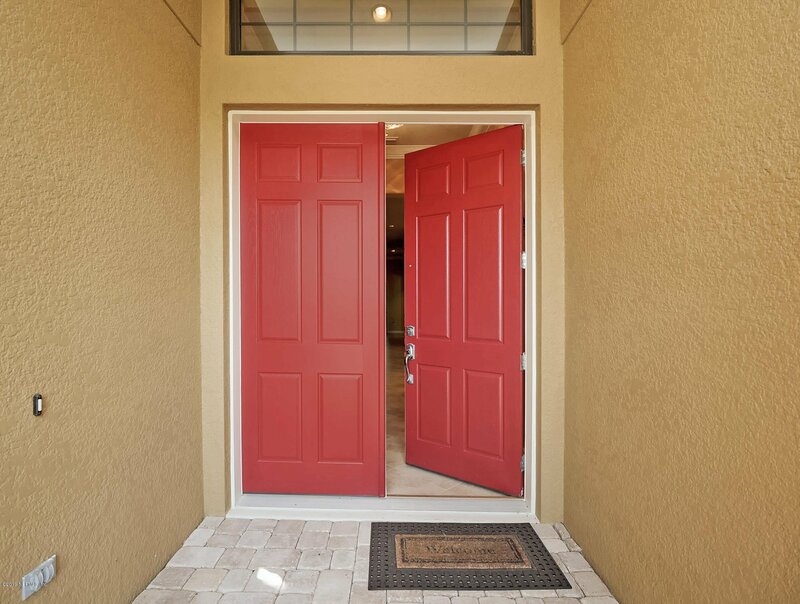 Step inside to a spacious entry foyer with high ceilings- perfect for decorating to make a grand entrance. 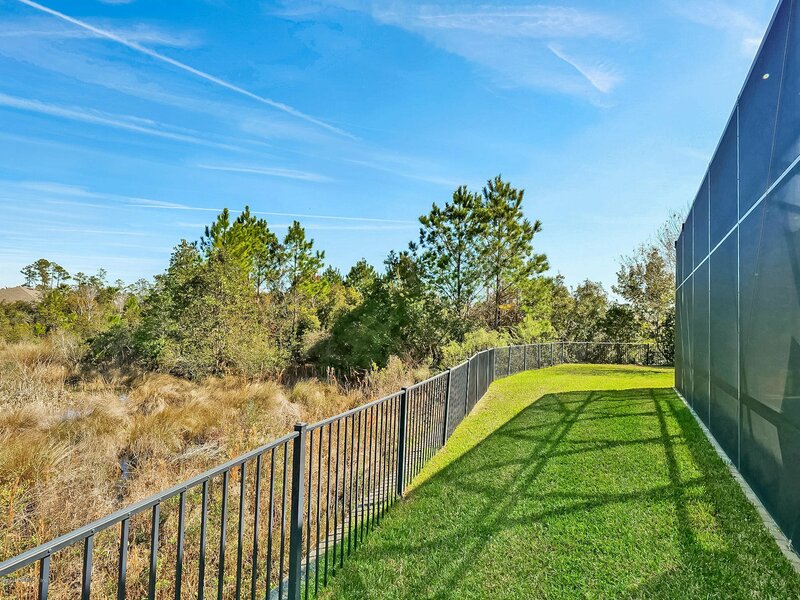 Continue through to the open floor plan allowing you to take in the beautiful preserve view as soon as you are in the door. 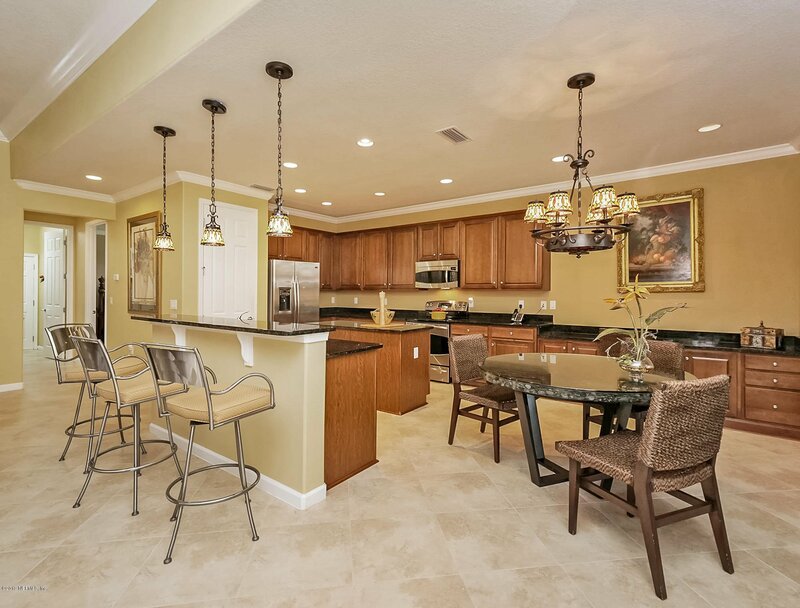 Entertaining is made easy with ample counter space, stainless steel appliances, plenty of cabinetry, and a large island that overlooks the living area. 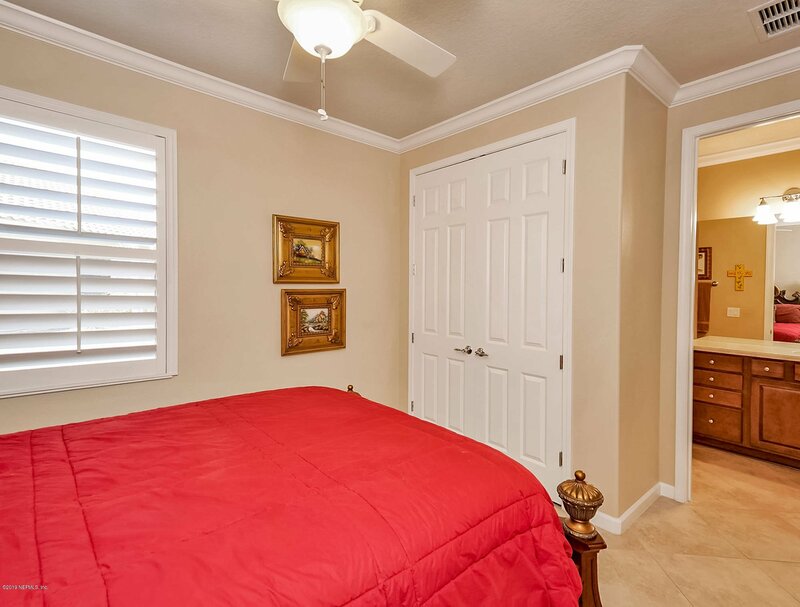 A 3-way split bedroom plan offers privacy for guests and family - each with private bath. 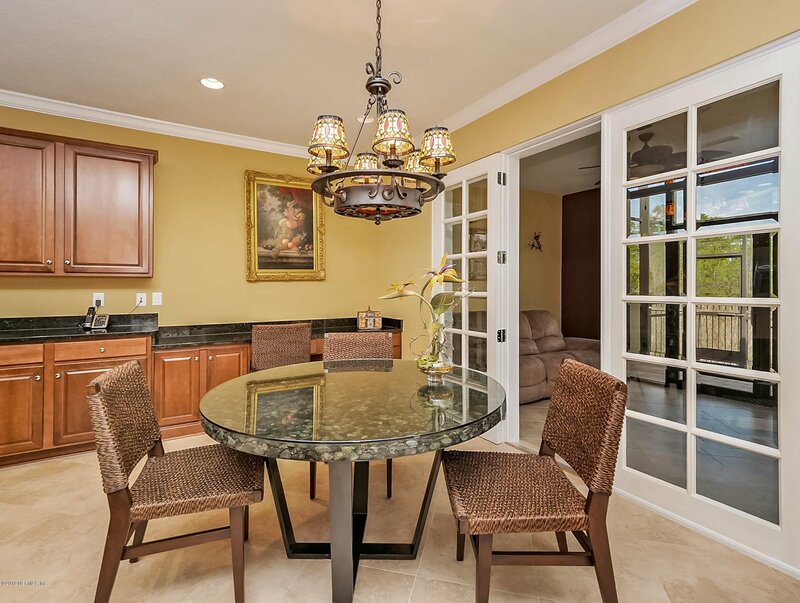 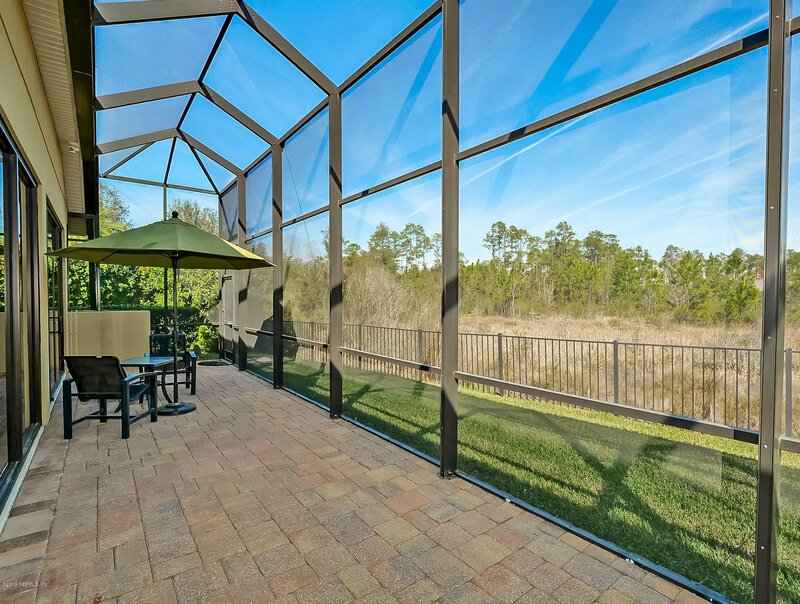 Enjoy the preserve setting year round from your glassed lanai, which adds an additional 363 square feet of heated and cooled space - perfect for evening dinners! 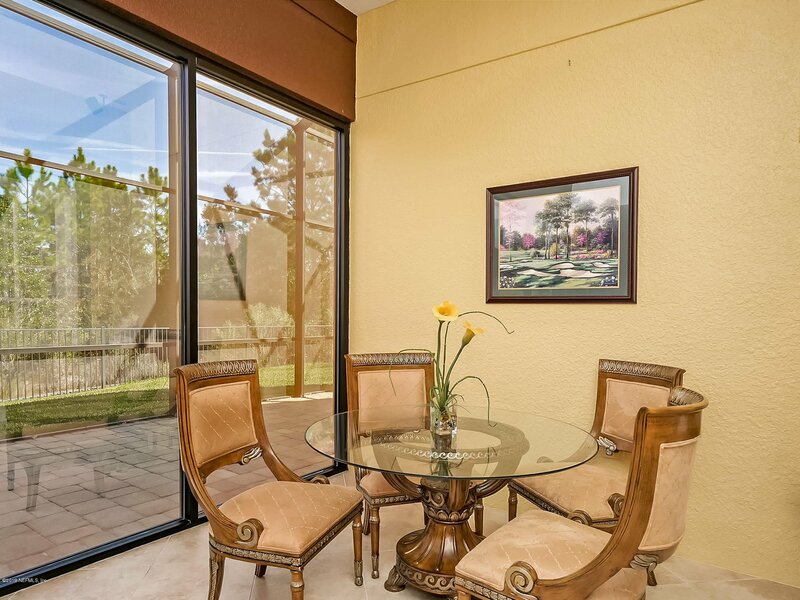 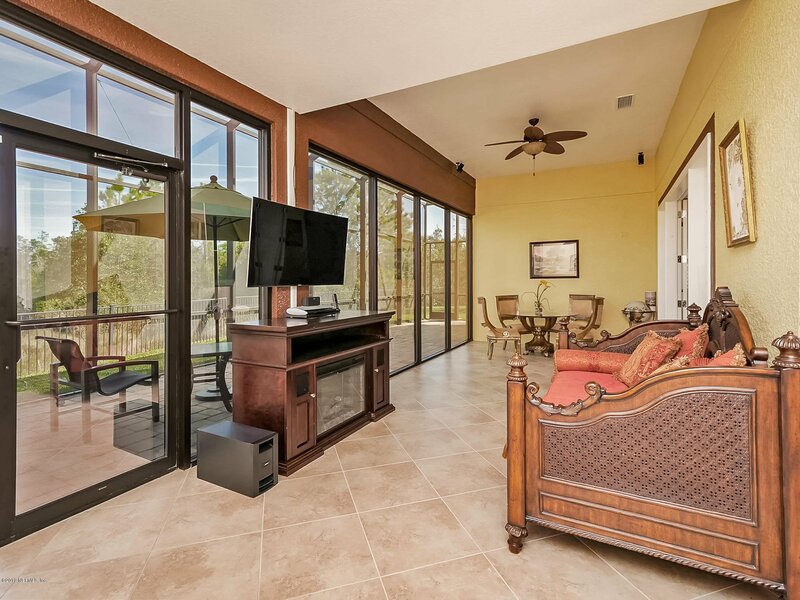 The screened patio is ideal forbird watching and relaxation. 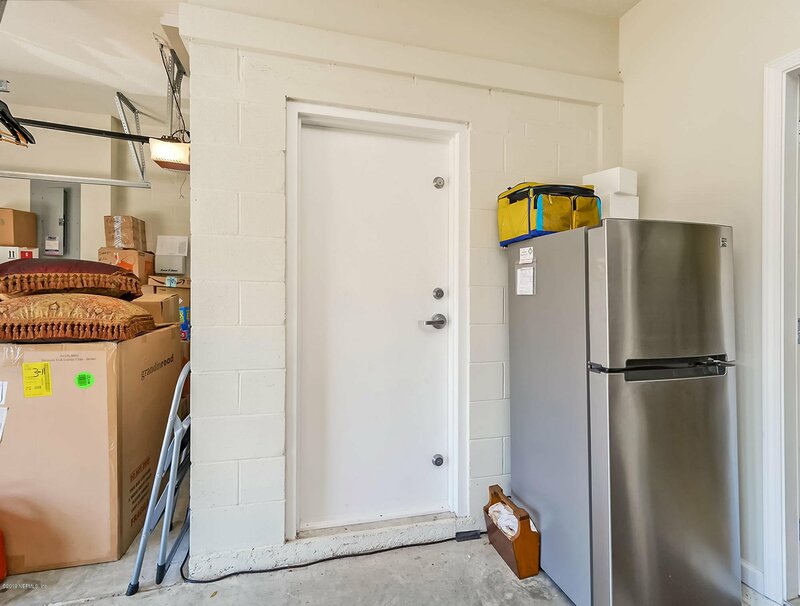 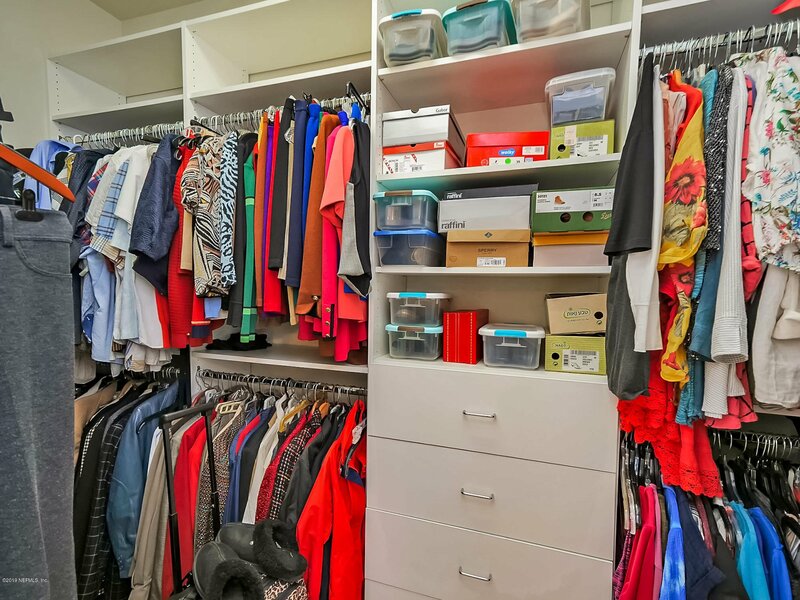 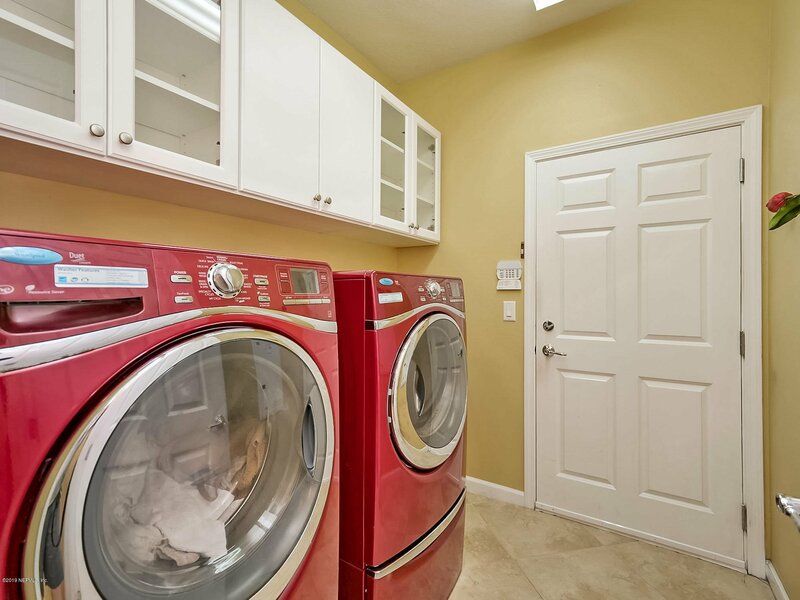 Check out the "safe room" just in case of a storm or store your valuables. 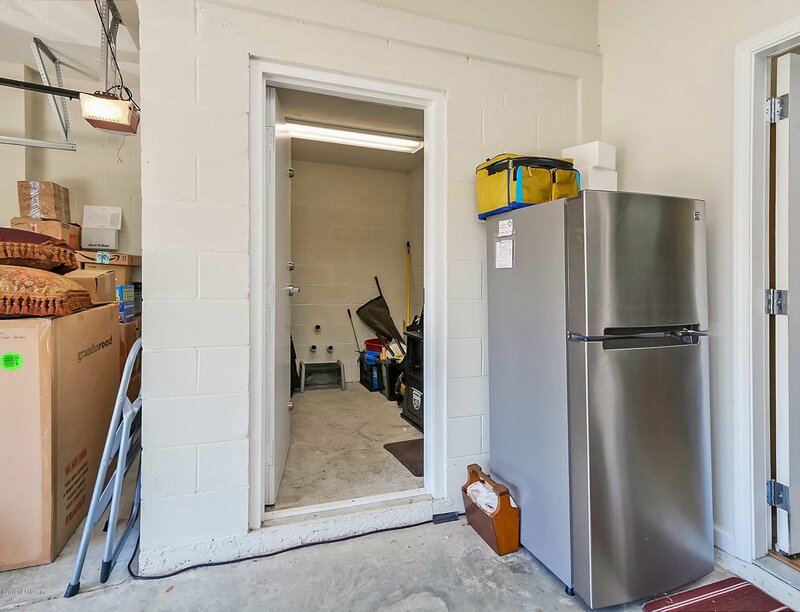 The 2.5 car garage offers plenty of storage for your vehicles, bikes or golf cart! 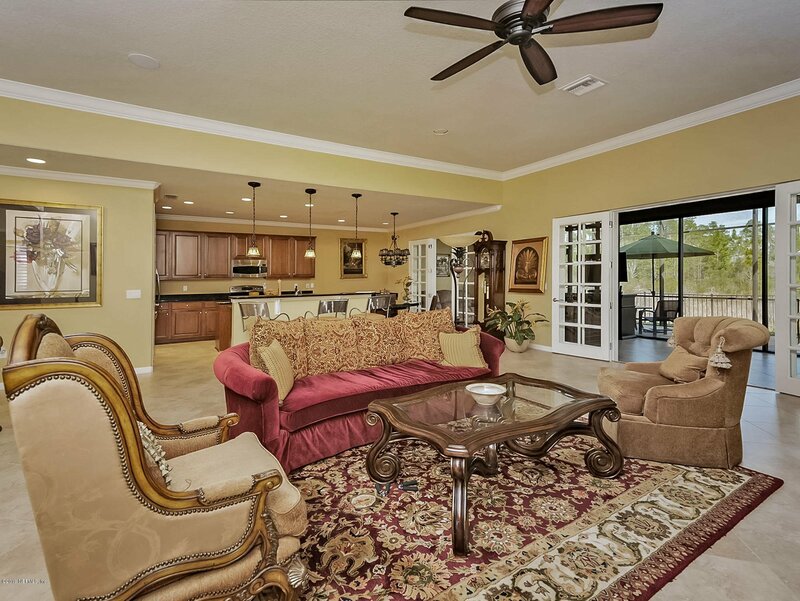 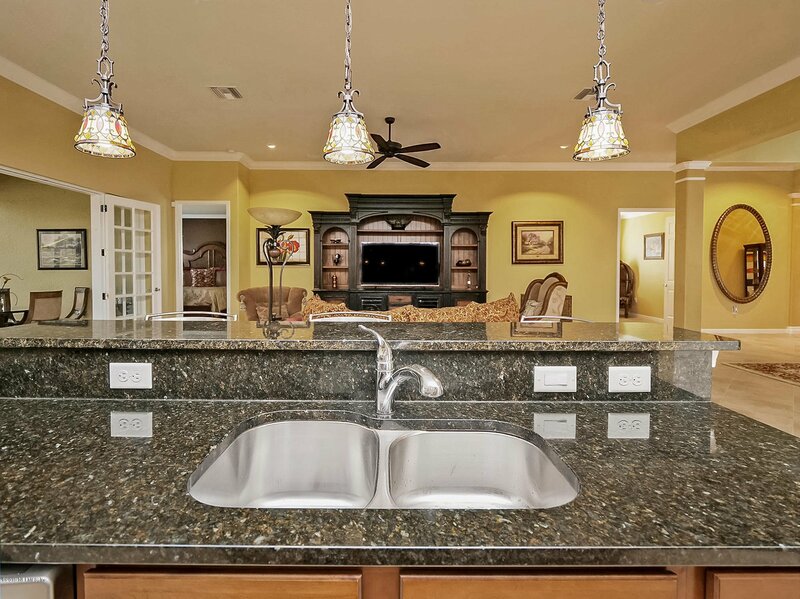 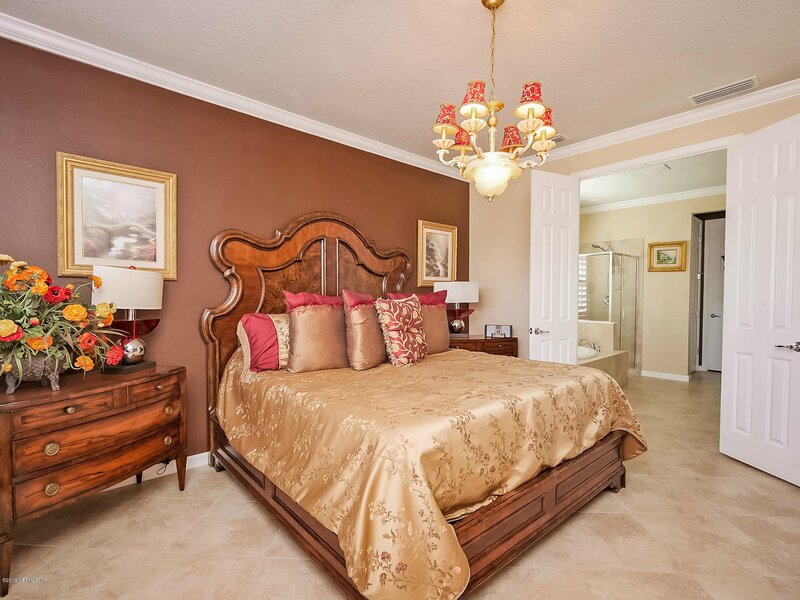 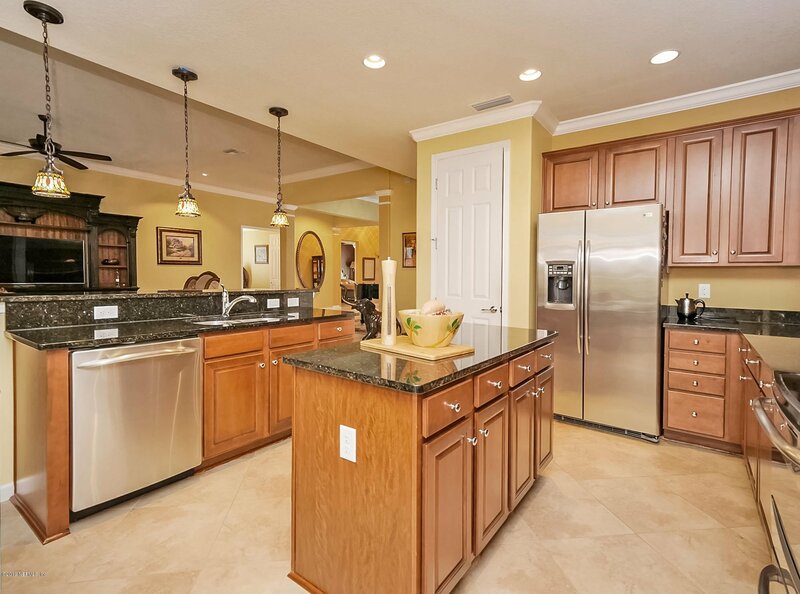 Del Webb is a top rated 55+ community in Ponte Vedra that offers an upscale and active lifestyle. 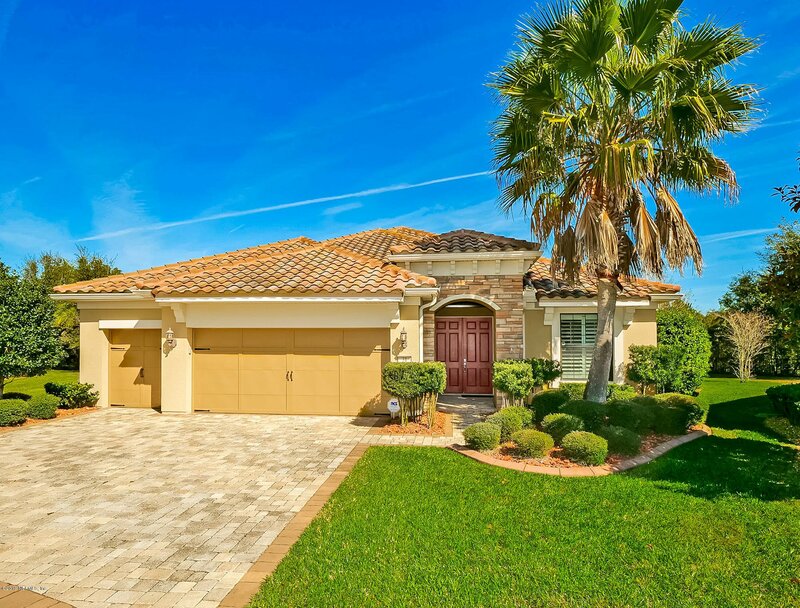 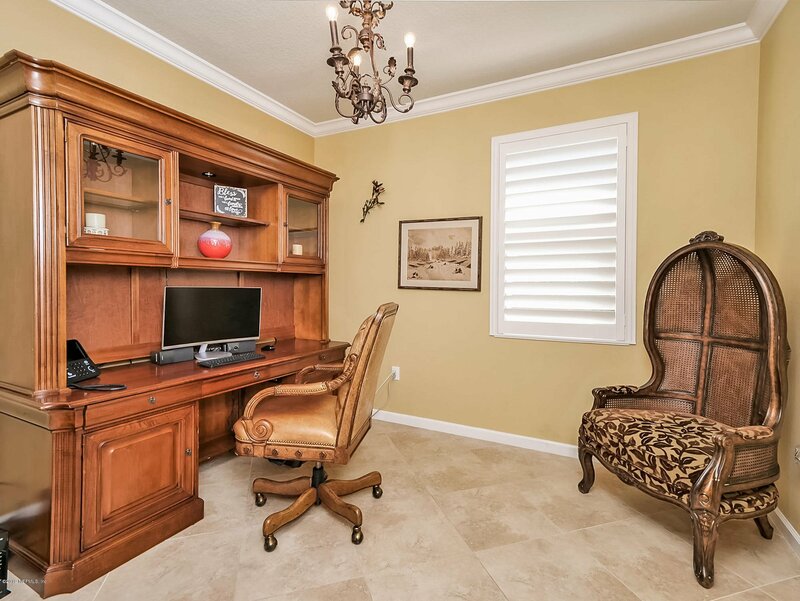 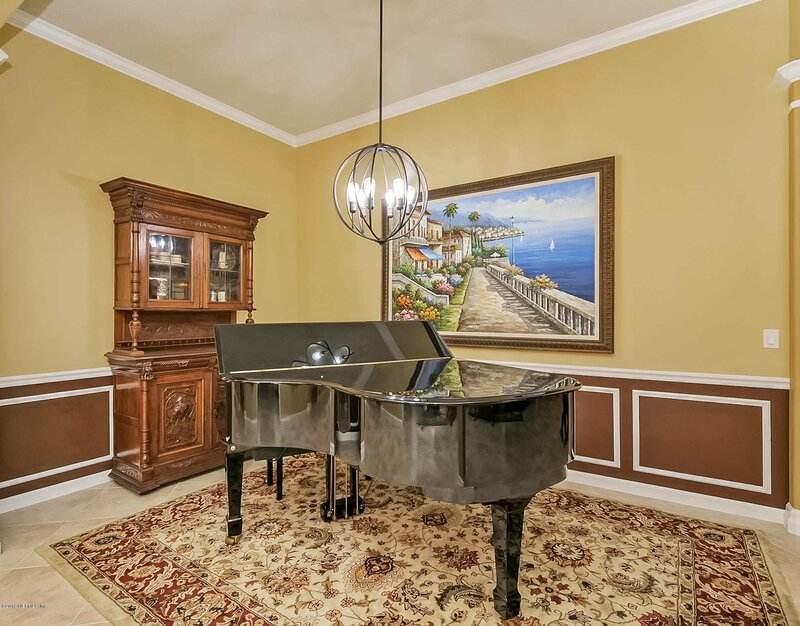 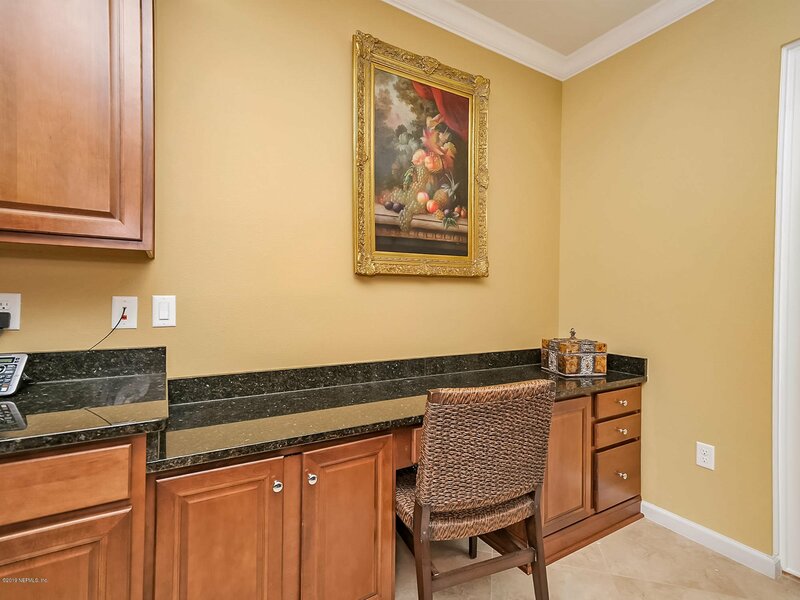 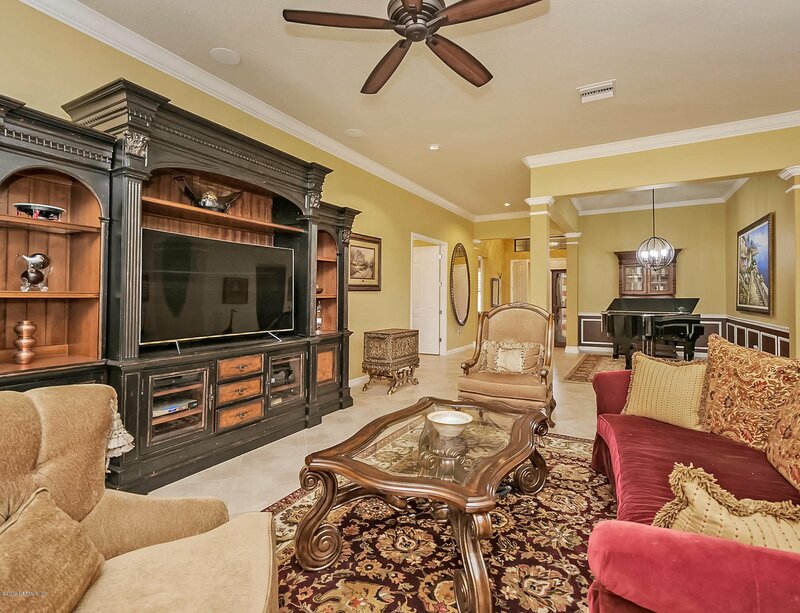 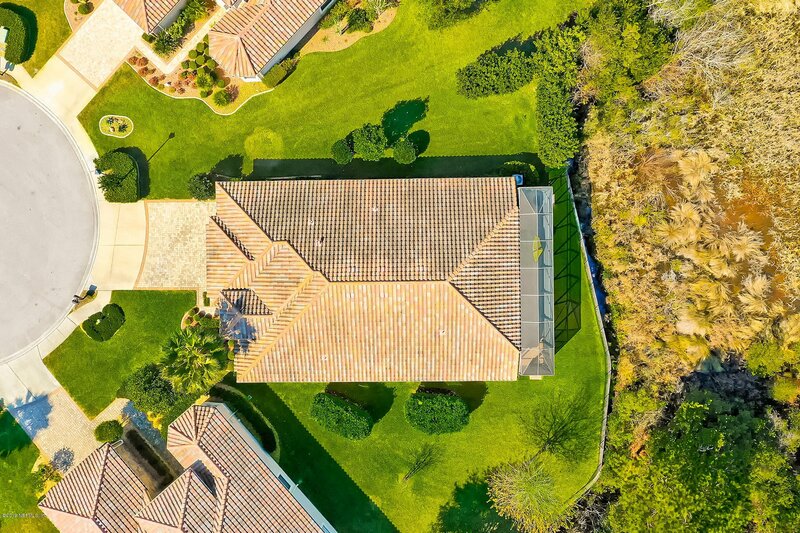 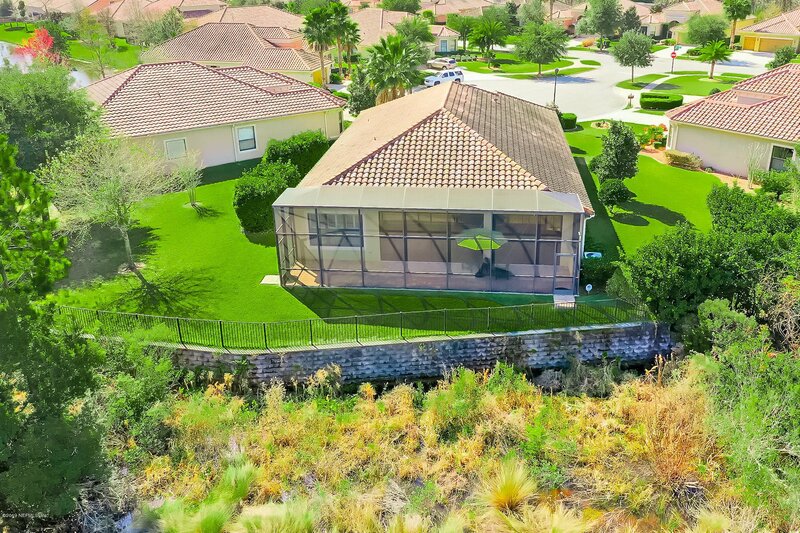 Visit the popular Anastasia Club House to view the resort style pool, tennis courts, exercise room, and just about any activity you would want to enjoy. 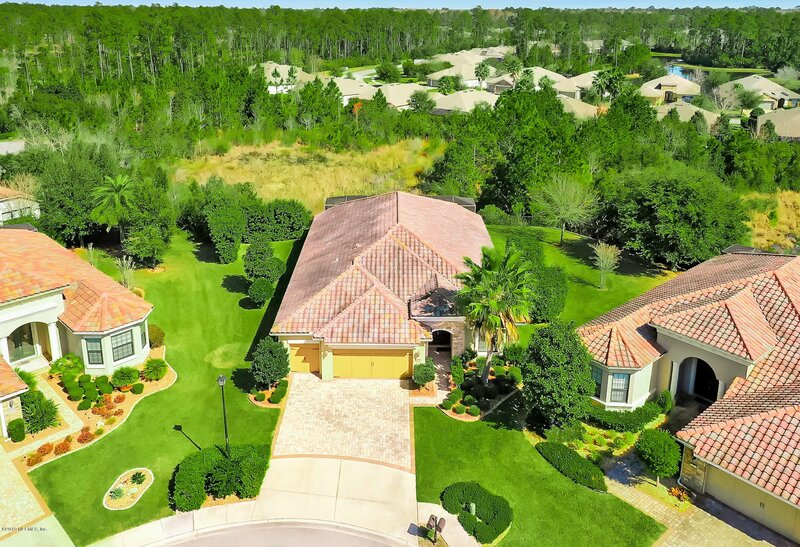 Nocatee offers shopping, restaurants, a splash park and lots of biking and walking trails! 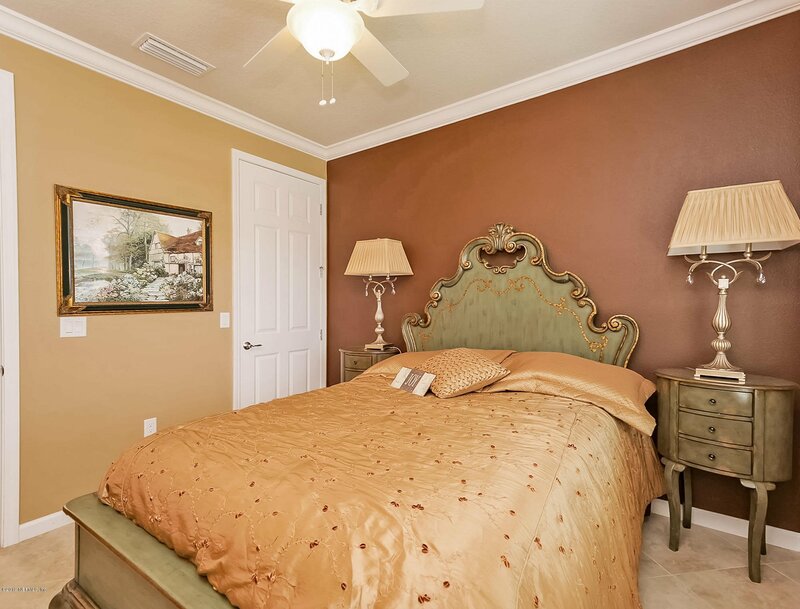 A 15 minute drive to the beautiful Ponte Vedra sandy beaches to take a sunrise walk!